Unfortunately the API is all out of date, and I'm currently can't find any time to look into it. I'm very sorry!! Here are top 10 Picks for Games Like Diablo 3.. have a look at each of them and let us know which one is your favourite. Anybody be interested in doing bounty runs? I would like to thank everyone for participating in the thread "Currently playing? Event Organisation"
If you want to play D3 With me then please add me on battle.net (See Discord Other Games) and drop in the my D3 anytime im online. Had fun playing Diablo 3 tonight. Anyone else had the Problem that the D3 profile fails to update? 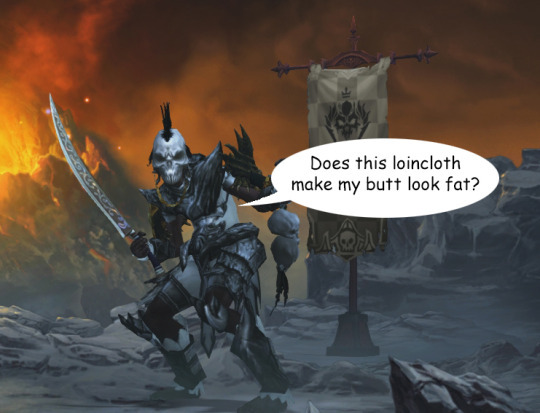 Blaugust 2016 Day 7 - I started playing Diablo 3! Join me this evening for some Diablo III action @ twitch.tv/dfuze_csgo! Little guy with his Gargantuan, his Dogs, his Fetishes, and extra fetishes that swarm in. Tossing firebombs, surrounding the baddies with a circle of zombies. And haunt, soooo much haunt. Found a belt that haunts all enemies whenever I open a chest. I make every bounty-run look like a bad night at the Borley Rectory (note to self: look up Borley Rectory, see if it’s even a thing people know about anymore). Lot’s of fun, at any rate. I’m not sure what my goal is, though. I guess Season Journey milestones.. I’m 7/9ths throughs Slayer; just need to finish a T7 Rift in 7 minutes, and level a gem to 25. Neither should be too challenging. Oh, one last thought: got access to the gold vault today. Earned an easy 70 million gold. No idea what to do with it. My non-seasonal gold is sitting at about a billion… that’s just bananas. Season 4 I made a witch doctor but I went for story mode instead of adventure and petered out around level 55. Season 5 I made a Crusader and she cruised me up to Paragon 400+ (which is nothin’ compared to the elites but not too bad for casual/solo). Here in Season 6 I decided to re-do the Witch Doctor. Took me about a week to hit 70. Today, Paragon 85-ish, finally cleared a GR20 to get the rest of the free 6-piece armor set. I was running a gargantuan, zombie dogs, fetish army , pirhana, and whatever else. That was okay for GR10 or so, but was too slow to finish GR20. So I checked the net and found a build that had the garg, the dogs, the fetishes, and haunt and bombs and hex. That did the trick. Finished a set dungeon to complete the season journey, then farted around Torment I because I was feeling lazy. This game is conducive to playing at whatever effort-level you feel like. But at any level, it's a brain eraser. Egad.